ALL DONE ON BOARD THE FULLY EQUIPPED GROOMING VAN AT YOUR DOORSTEP! StaR Grooming van arrives at your address at the agreed time and date. The van needs a 2 car length parking space on a flat driveway or on the street outside your house. The van needs to be plugged in to the power source within 20 meters from the parking space to power up the lights and electrical sockets. Your dog is groomed in the van and you are welcome to come and check on him/her any time during the groom. Quotes are given based on the breed and size of the dog. The price can increase depending on the condition of the coat, the dog's temperament and behaviour - matted and uncooperative dogs take much longer to groom. *Discount is given for households with 3+ dogs. The grooming experience can be quite stressful for young dogs. It is important they are familiarised with the smells, noises and sensations of bathing, drying, brushing and clipping from an early age, to ensure they are relaxed and confident during later grooms. We recommend starting grooming puppies a week after their vaccinations. Nail clipping is available for £5 for additional dog in the household when a full groom is booked. Our No 1 priority is a stress-free grooming experience for your dog and we achieve it by allowing longer, unrushed appointments, giving your dog quality time and attention. My name is Rimante, it originates from Lithuania. 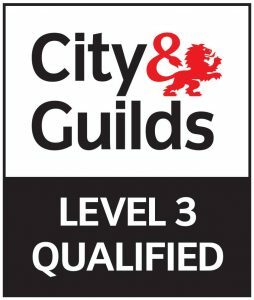 I am a City&Guilds Level 3 Qualified Dog Groomer trained by the fantastic grooming master Laura Campanella at Groom Arts Academy in London Colney. I grew up and lived all my life having a dog in the house and I always struggled in those short periods of my life when my circumstances didn’t allow me to have one. I started my grooming experience on my own American Cocker Spaniel when I was 16. My most recent dog, miniature Yorkshire Terrier Pinchy, is my inspiration and motivation – he took my passion and love for dogs to the next level, and with enormous support + encouragement from my partner Steve, helped me to take my decision to give up my teaching career and to follow my life-long passion for dogs. So I am now the proud owner of StaR Grooming, Mobile Dog Grooming Salon. StaR is an acronym of the letters from my name Stanuliene Rimante. StaR Grooming is based in St Albans and serves all areas within an approximate 30 minutes drive.